The Congress seems to have found a solution to all its electoral problems. 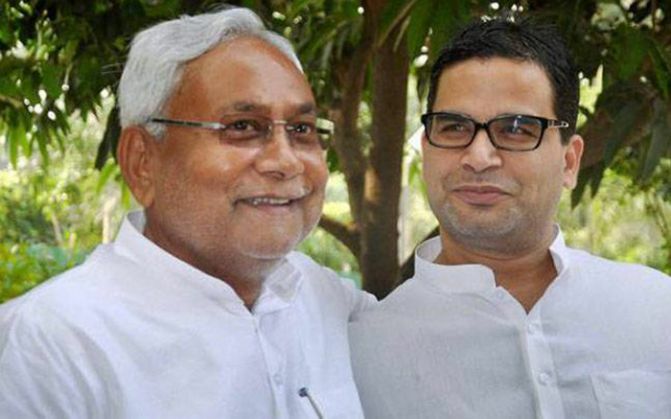 Apparently, it is in talks with Prashant Kishor, who scripted Nitish Kumar's victory in the bitterly-fought elections against the BJP in Bihar. Now Congress, which was part of the victorious Grand Alliance in Bihar, wants Kishor to ensure that their electoral fortunes shine in the 2017 UP elections. According to an Economic Times report, "Two people close to Kishor and a senior Congress leader confirmed that he and Congress are in active discussions on him helming the Grand Old Party's UP campaign." 1. Kishor was the man behind Narendra Modi's 2012 Gujarat election victory. This victory catapulted Modi to the national scene and made him a strong contender for the PM's post. 2. Ditto for the 2014 elections. Kishor conceptualised Modi's popular 'chai pe charcha' campaign, and helped him win a historic mandate. 3. Ironically, he is the same man who made sure Modi couldn't make a dent in the Bihar Assembly elections. This time around, he chose to camp for one of the most bitter rivals and critics of Modi, Nitish Kumar. Apparently, it was the differences with Modi's second-in-command and party chief Amit Shah's way of functioning that led to Kishor switching sides. 4. He was the brain behind Nitish Kumar's 'har ghar dastak" - a strategy that heavily focused on door-to-door campaigning. He helped Nitish forge a victory with the alliance partners, RJD and Congress, while maintaining a low profile. Hiring Kishor might be the smartest thing Congress could do to get an early edge over parties in UP - the state that has 304 Assembly seats and 80 Lok Sabha seats. Forging a win-win alliance like that of Grand Alliance will be difficult in UP. Mayawati's BSP and Mulayam Yadav's SP can't see eye-to-eye. Also, in UP the local satraps are far more influential than national parties. However, the BJP broke major grounds in the state during the 2014 elections, winning as many as 73 seats out of 80 in the state. In all likelihood, it could end up being a four-cornered fight, unlike the two-sided battle we witnessed in Bihar. Further, Congress has no strong face in UP. Since ND Tiwar's tenure in 1989, Congress has failed to cultivate strong leaders in the state. The charm of the Gandhis is confined to the home boroughs of Amethi and Raebareli. Rahul Gandhi campaigned extensively across UP in 2012. But could only help the party cobble together a meagre tally of 28 seats. Clearly, Congress shouldn't be only piggy-backing on Kishor's success as a poll strategist to make a comeback in UP. The Salman Khan-Vivek Oberoi saga continues; but what are Ranbir-Deepika so scared of? READ NEXT >> The Salman Khan-Vivek Oberoi saga continues; but what are Ranbir-Deepika so scared of?